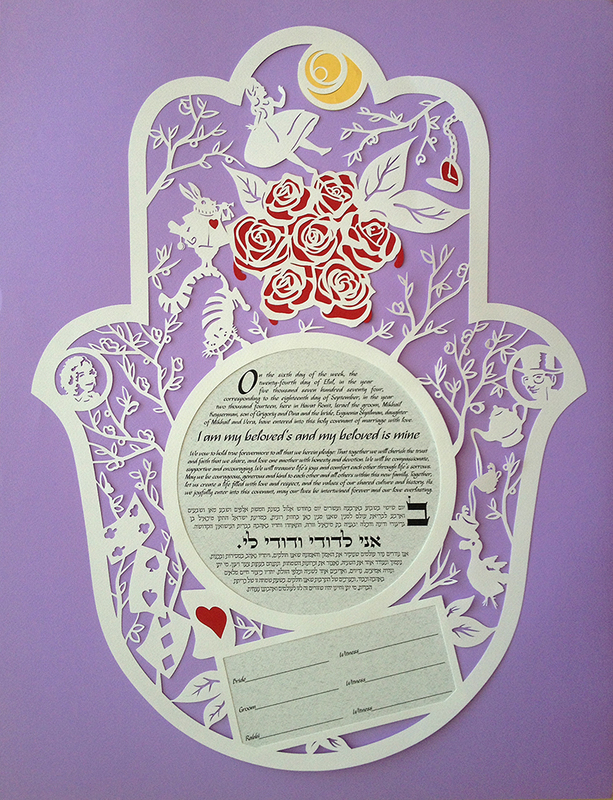 Commission a custom made papercut ketubah made to your exact specifications. 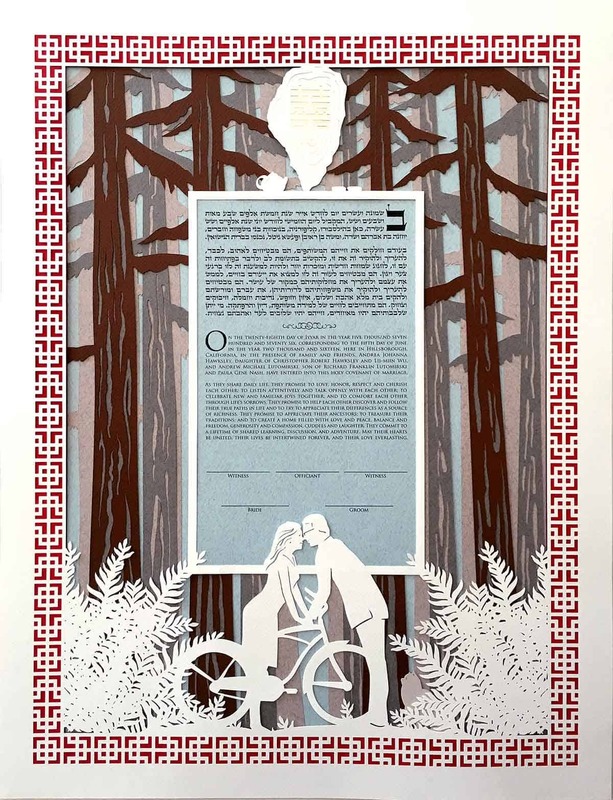 It can include anything you want to symbolize your relationship. 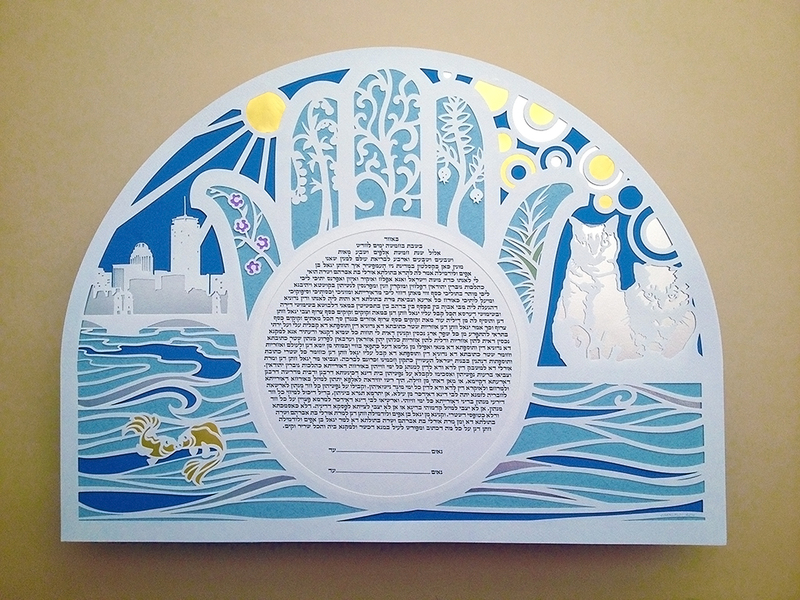 Designs can incorporate a particular location that’s important to you or to include objects that hold special meaning, you will create a ketubah that is uniquely your own. It can even include portraits cut out to your likenesses. 1) Payment is due in full up front. All you have to do to reserve your custom order and get the process started is to check-out directly from this listing. 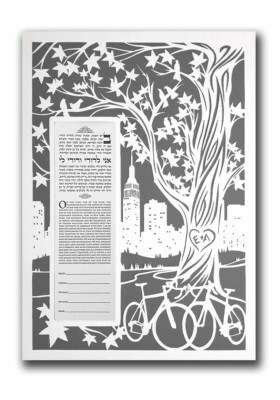 Tell me all the details about the perfect ketubah you envision. 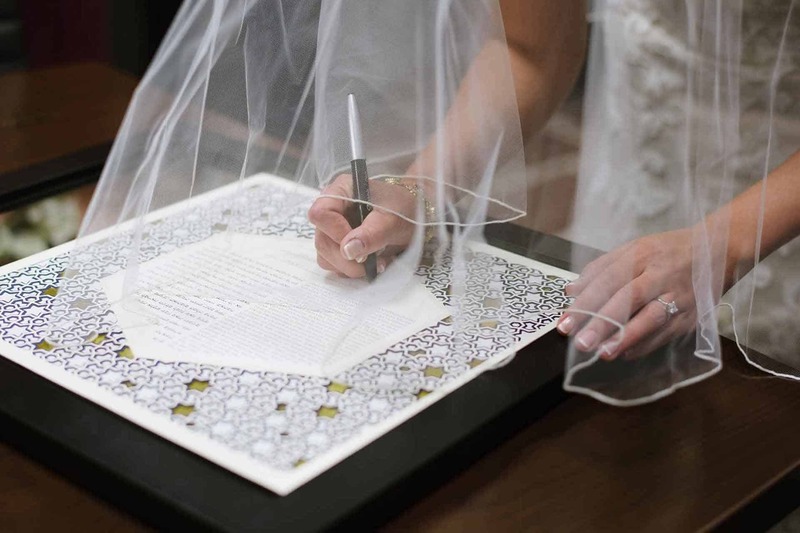 Include your names and wedding date and tell me a bit about yourselves. 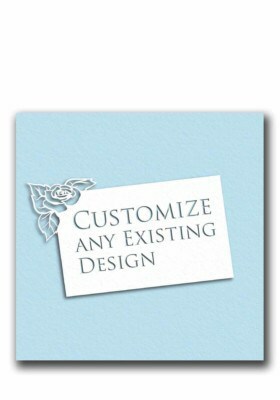 Tell me what you would like me to create, what you would like the design to include (and the things you absolutely do not want to include), the exact size you would like, and your favorite color for a background. If you know what you want, go ahead and send me pictures as well. You can include specific things that matter to you: your favorite animals, a tree you love, or even pictures of yourselves. 2) Once you have reserved your order, we will set up a Skype appointment during which we will discuss the design and I will work out some rough sketches in order to arrive at the concept. 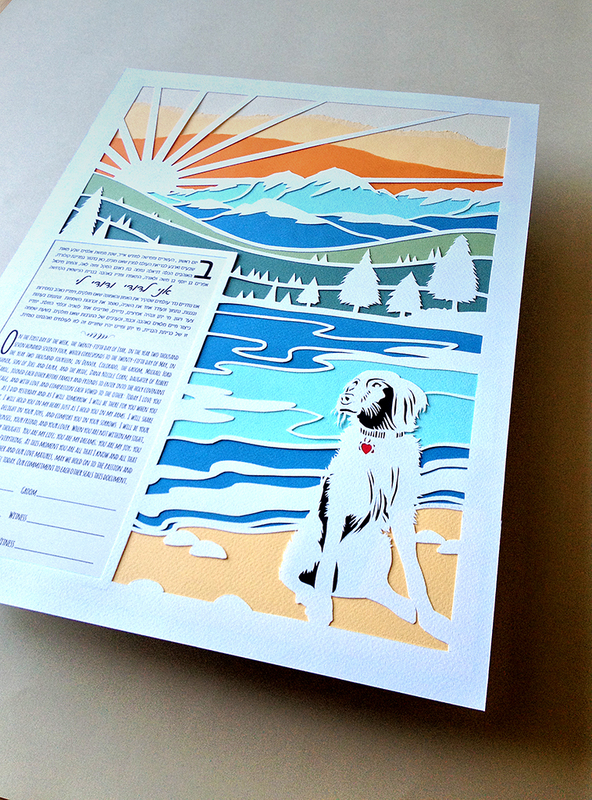 I will then start work on a highly detailed digital proof. 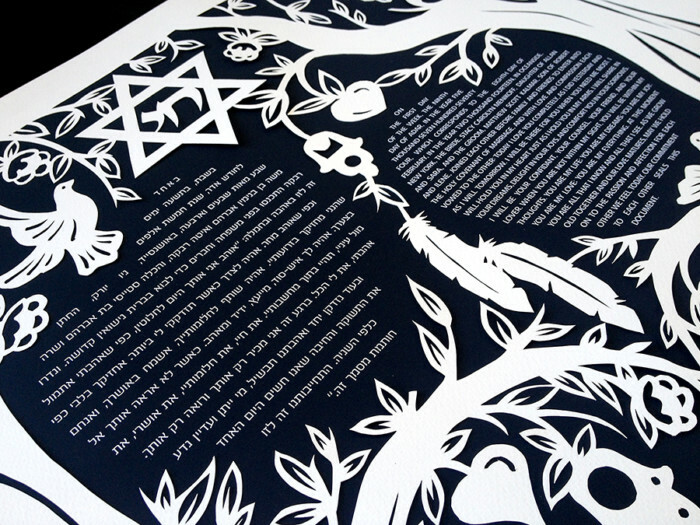 The proof will show you exactly what the design will look like down to the small details. 3) After you approve your design I will begin working on cutting your ketubah. 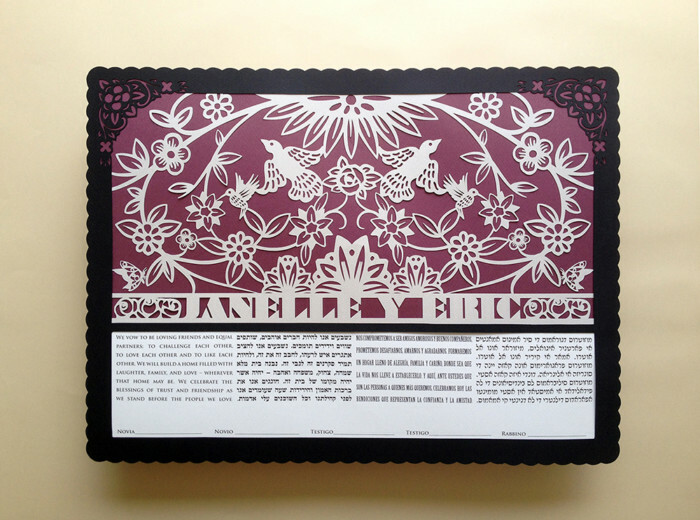 If you are not completely satisfied with the design you can cancel the order before cutting work starts for a 50% refund. 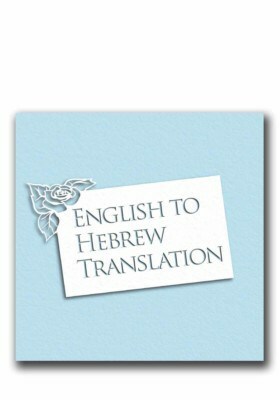 Turnaround time for your order is up to 30 days after the proof is approved plus time for shipping. 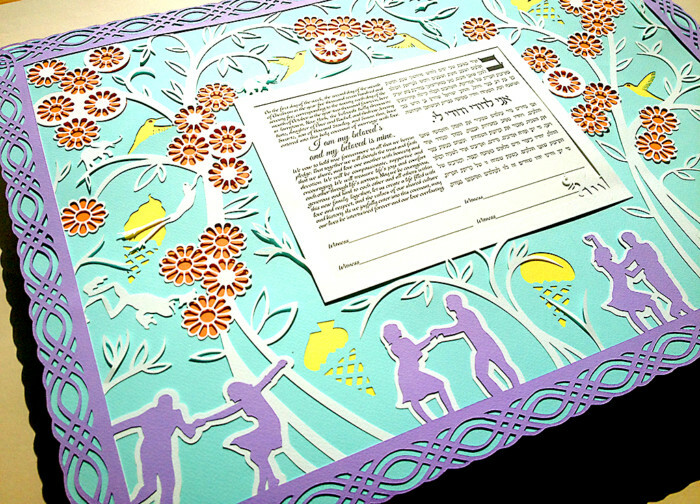 The entire process takes on average 2 to 3 months. Take this into consideration when placing your order. 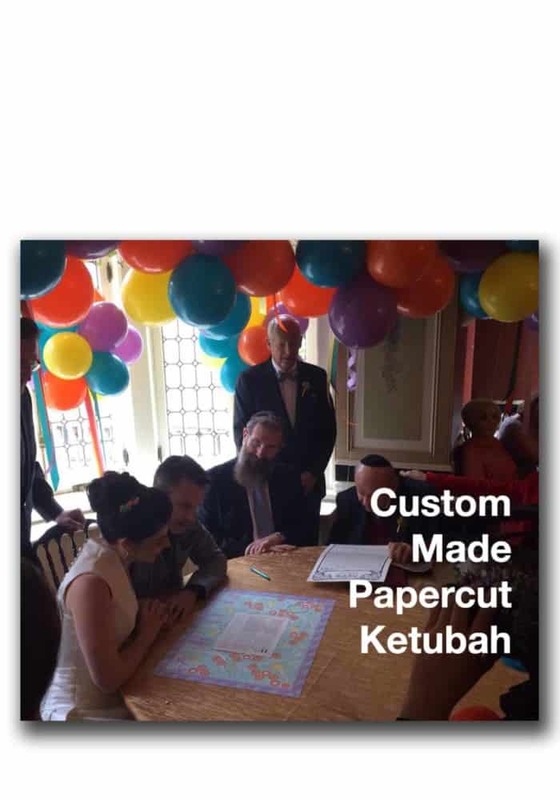 It is best to start the design process as early as possible to ensure that your custom ketubah is ready in time for your wedding day.